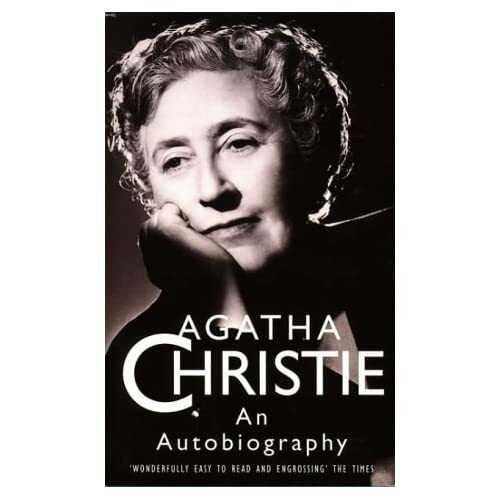 For the first of this year’s Crime Fiction Alphabet hosted by Kerrie I’ve chosen a double A – AgathaChristie – An Autobiography. I finished reading it at the end of December. I can’t remember exactly when I began reading it. I think it was the end of May because in a Sunday Salon post then I wrote that I was thinking about starting it. I read short sections of it most days since I started it and felt quite sad when I came to the end. It was like having a daily chat with Agatha. It struck me as I was reading her Autobiography that it’s not very easy to work out the dates of many of the events she described. It follows on chronologically but is so interspersed with her thoughts and reflections that I forgot the date, or she hadn’t mentioned it. She wrote about her childhood, teenage years, friends and family, and her marriage to Archibald Christie; but although she wrote about their divorce she didn’t write about her disappearance in 1926. She wrote about her travels around the world, the two world wars, her interest and involvement with archaeology and her marriage to Max Mallowan. She wrote quite a lot about her writing methods, writing criticism, hearing your own voice, economy in wording, writing detective stories, adapting plays and writing them herself, the right length for a detective story (50,000 words), writing two novels at once, writing books set in historical periods and the joy of creation. The one book that satisfied her completely is not one of her detective books but one she wrote under the name of Mary Westmacott – Absent in Spring – and she wrote it in three days flat (pages 516 -7). A child says ‘Thank God for my good dinner’. I prefer the type of memoir where the author writes naturally to the comprehensive “life of” type book, and this one sounds wonderful. When you wrote about it before I thought I really must find time for my copy, and I really will before too long.